Today I am sharing a super fun table decor set I created using the fantastic Autumn Woods Fall Paper House Productions Collection! Here is what I came up with. 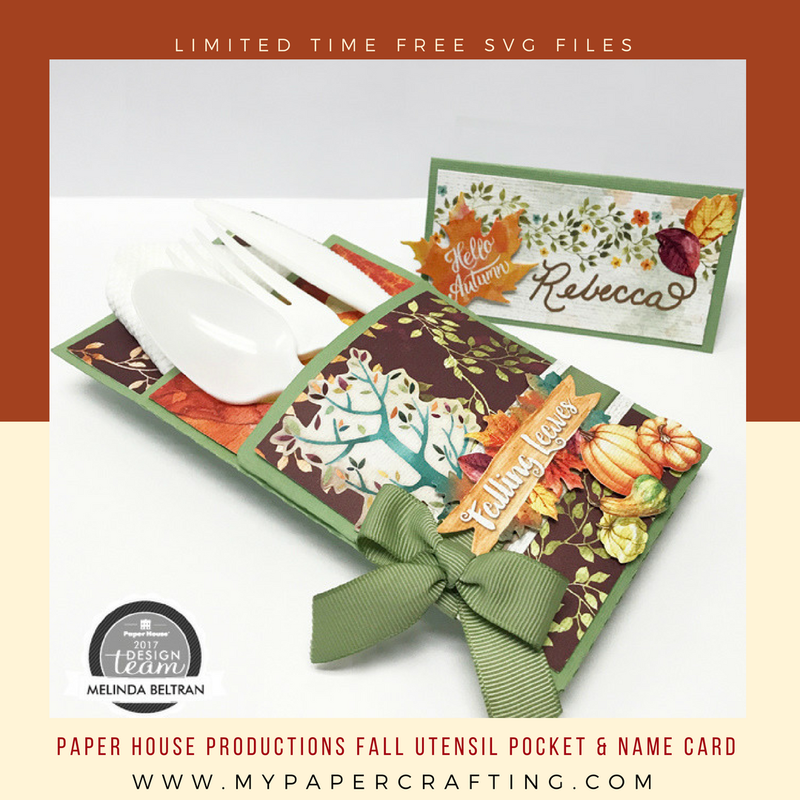 I created this super fun and easy fall place card and utensil holder! 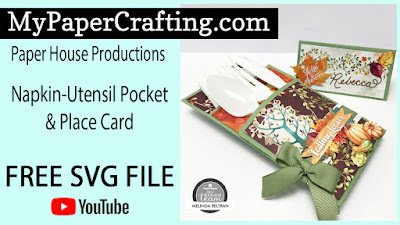 Here is a closer look at the completed double pocket utensil and napkin holder. I cannot take credit for this idea as I saw a similar project from another crafter. She used a die and I didn't have it so..... I thought....I know I can make something similar with my beloved Pazzles! So I DID!!! 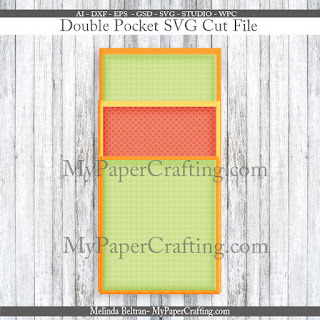 I created the SVG file and then cut it out of some green Bazzill cardstock. I then used some of the gorgeous patterned paper to cut out some mats. Once that was done, I turned to the beautiful cardstock weight stickers to embellish away! It was very easy and the results are fantastic. Next I created a simple place card. I let the beauty of the patterned paper shine by cutting out a mat with that gorgeous border. I then added a few of the cardstock stickers and then wrote the name. Super easy. I let the stickers and paper do all of the work! Here is one last look at the set. Turned out super festive and it will make the perfect compliment to our table next Thursday! As always, thank you so much for stopping by! Until the next time, have a wonderfully crafty day! Thank you so much! It is darling and I can see many uses beyond Thanksgiving!